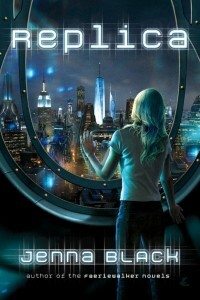 Interview with author Jason M. Hough + THE DARWIN ELEVATOR Giveaway! I’m interviewing sci-fi author Jason M. Hough today! I really liked his debut novel, The Darwin Elevator (here’s my review), and I’ll also be giving away a copy at the end of this post! Tell me about yourself, and how you got into writing. I’m a father, a geek, and a former game designer. After leaving the game industry I needed a hobby to fill the creative void in my life, and decided to try writing because it seemed like something I could do entirely on my own. This of course turned out to be untrue, there’s a huge team of people involved, but at least at the beginning I was able to scratch my creative itch and work at my own pace. I love the backstory behind The Darwin Elevator – aliens leave us both a space elevator and a plague. How did you come up with it? The core of the idea came from my reaction to the standard argument against building a space elevator: it would be too hard to construct. I thought, “who says we’re the ones to build it?” That’s the moment that everything started to click into place. The sequels to The Darwin Elevator come out in the next few months, so I assume you’re done writing them. What are you working on now? Most of my time right now is going into interviews like this, plus guest blog posts and that sort of thing. I’m also working on some pitches for new books, which will hopefully turn into a contract soon. I’m anxious to get started on another novel! This is my standard question for all genre authors – how do you come up with a plausible and interesting world? All the usual answers probably apply, but one I thing I did that I came up with on my own is this: For each character I wrote up an activity log of what they did the day before the book starts. This helped me flesh out the characters, but also had a surprising bounty of ideas for the world as well. Mundane things like what people wear, how/when/where they shower or eat, these things really help answer basic questions about the world, and having those kinds of details to sprinkle into the story go a long way toward making it interesting. Which writers are you most influenced by? Some of my favorites, in no particular order: Guy Gavriel Kay, Richard K. Morgan, Stephen King, Ian Fleming, John Scalzi, George R. R. Martin. What is your daily writing process like? What are the easiest and hardest parts? I usually get up early (before 6) and find a coffee shop. This is mostly to get away from the distractions of home, where I have two young boys who want nothing but to constantly play with Papa. While there I’ll write for an hour, then take a break and do my authorly business: tweet, do interviews like this, read science news, etc. The easiest part for me is writing action sequences. They flow like nothing else! Hardest part? When a small change is having a ripple effect throughout the story, and each fix is causing it’s own ripple. It makes me wish I had an AI I could assign the problem to. If Skyler could have a sidekick from any other fictional universe, who would it be and why? That’s a tough one! I’ll go with John “Black Jack” Geary from Jack Campbell’s Lost Fleet series, for good leadership advice. I just finished Nexus by Ramez Naam, which was fantastic. Now I’m reading The Thousand Names by Django Wexler. Since you asked, I’d love to also recommend a few other books: The Daedelus Incident by Michael J. Martinez, and Bad Glass by Richard Gropp. The sequel to The Darwin Elevator, The Exodus Towers, is now out, and the concluding book in The Dire Earth Cycle, The Plague Forge, will be released this month. 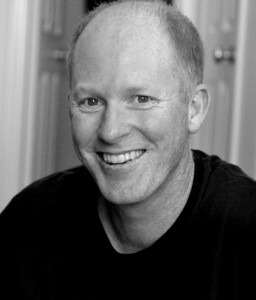 You can connect with Jason M. Hough at his website (http://www.jasonhough.com) or through Twitter or Facebook. 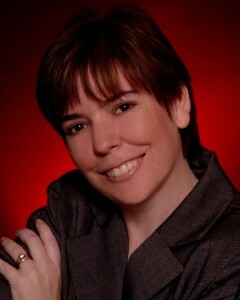 Thanks to TLC Book Tours for arranging this interview and giveaway! 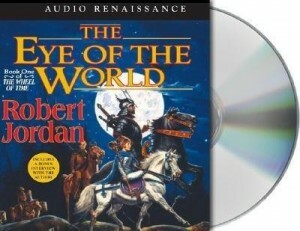 “The Eye of the World” audiobook giveaway! A Memory of Light, the final book in the Wheel of Time series, was just released, debuting at #1 on the New York Times Bestseller List. To celebrate, the nice folks at Macmillan Audio have offered to give away an audiobook version of The Eye of the World. You can use the widget at the bottom of this post to enter. I haven’t listened to the full audiobook, but judging by this excerpt from Chapter 2, it seems really great. I especially love Mat’s voice. (The audio player is a bit small, sorry about that).